Customer Testimonials | Superior Chrysler Center in Superior, WI " "
Great guys & gals, solid service performance at a fair price, and good WiFi. These guys were AWESOME! They checked my truck out and got me right back on the road pronto! They are my go to guys when up in the area. Very happy with service dept. Friendly, knowledgeable, and worked around my availability. Highly recommended. This is our Second Purchase with the Center. Kurt Wahl is the reason we came back. If Kurt cant do it,nobody can. Patty and I had a great time working with Kurt and C. Kinnear the money woman. GREAT JOB EVERYBODY !! Kurt Wahl did a great job walking me through the process. From start to finish he was able to answer every question that I had and got me into a new Jeep Cherokee for under what I was expecting to pay. 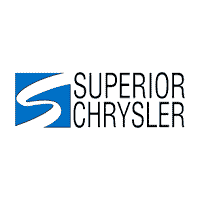 Very happy with the service I received and will be recommending Superior Chrysler, and Kurt Wahl, to all my friends and family that are looking for a new vehicle.